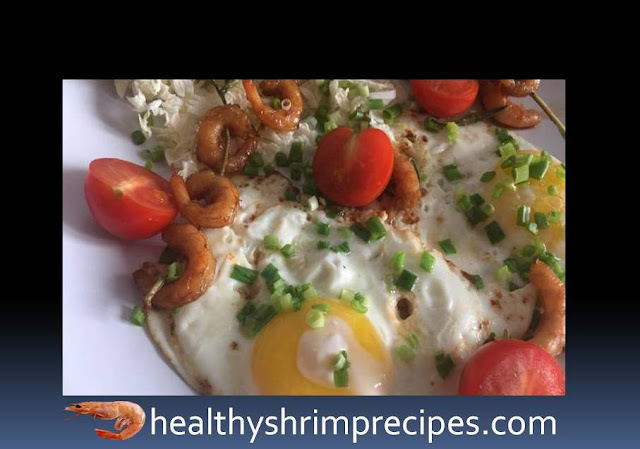 Shrimp and eggs recipe is a delicious breakfast, which is also very healthy and beautifully easy to make. By eating them, you can satisfy not only hunger but also get pleasure! #Step 1 - Sprinkle my rosemary and dry. We leave about 2 cm above, the other leaves are removed (we do not throw out the branches, they will still be useful). Chili pepper cut into small rings, washed under cold water. 2 cloves of garlic skip through the garlic press. 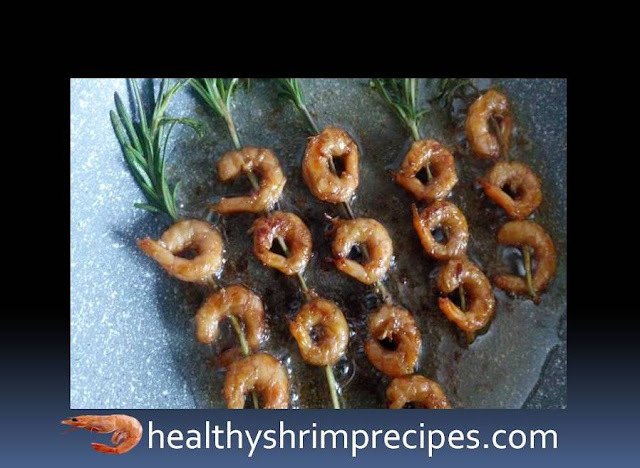 #Step 3 - Put shrimps, rosemary leaves, chili peppers, and garlic in a small bowl. Fill it all with soy sauce so that the sauce almost covers the shrimp. Mix well. 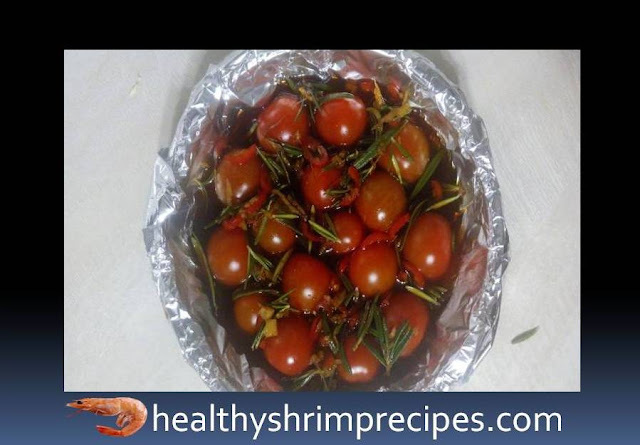 Leave to marinate for at least half an hour, preferably for an hour, in a warm place, sometimes stirring. #Step 4 - Preheat oven to 180 degrees. Cherry tomatoes cut in half. We shift in a small dish. And fill them with shrimp sauce, so that they are half in the sauce. Sent in the oven for 10 minutes then we get overturned and another 10 minutes in the oven. #Step 5 - While tomatoes are being prepared, we are engaged in shrimps. Heat the pan well with sunflower (olive) oil. We put shrimps on rosemary coils through the back. 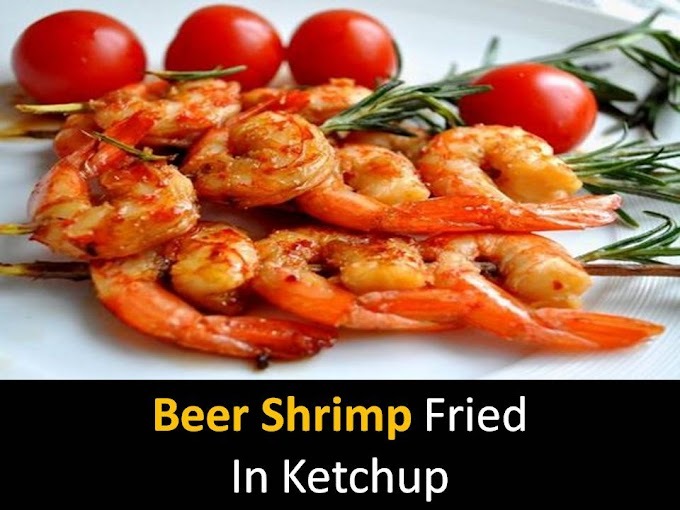 Fry on both sides at high temperature. As soon as the shrimp roast we lay out on a paper towel. #Step 6 - In the same pan, where the shrimp were fried, cooks eggs, salt and fry until done. Cut the onion feathers diagonally. 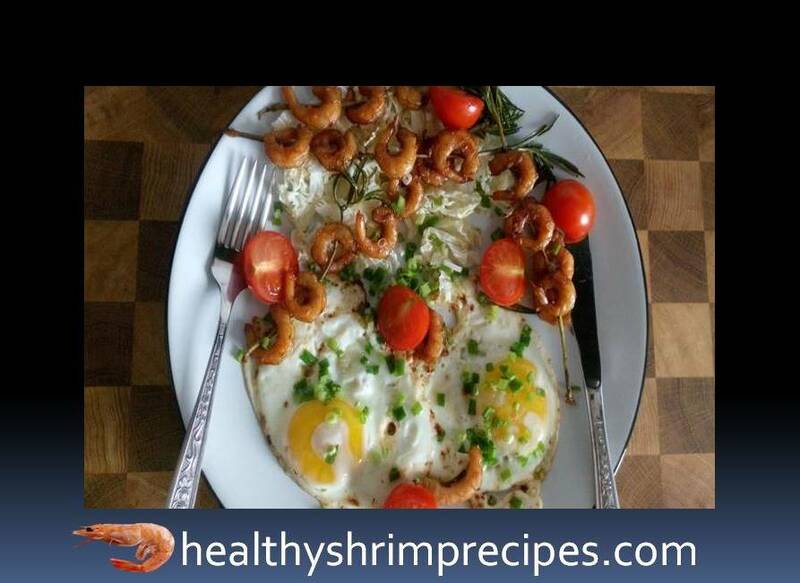 For 1 minute until ready on the egg, the onion, and cover with a lid.